Here’s a challenge for our followers. Can you name all 28 Prime Ministers of Australia? Edmund Barton was the first right, then um…how about Billy Hughes…let’s see, Robert Menzies was our war time PM wan't he?… Paul Keating, John Howard, Kevin Rudd, Julia Gillard…and…Tony Abbott! That’s only a handful isn’t it? (Sorry Mr Dwyer, but you never made 10th grade Australian History very exciting!) But you know what? I can tell you the current First Dog! 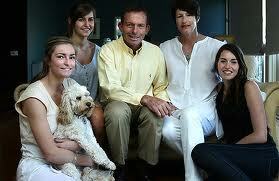 It’s Tony Abbott’s cute Spoodle Maisie. And I can tell you the names of many more canines who have called The Lodge home! At VetShopAustralia.com.au, we are conducting our own top political dog poll and would like to know who you think is the cutest pet to have resided at The Lodge. Abby, Kevin Rudd’s gorgeous golden retriever, has had to share the priministerial limelight with Jasper, the Rudd families black cat. Both Jasper and Abby also starred in a book about life inside Kirribilli House; now that’s making a connection to both feline and canine voter’s right? (NB: Jasper passed away in 2012; RIP Australia’s former first feline). 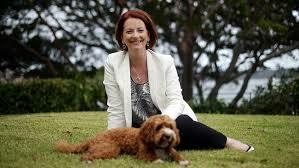 And then we have Reuben, Julia Gillard’s adorable Cavoodle. 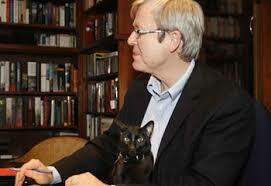 Reuben was a 50th birthday present from Ms Gillard's partner, Tim Mathieson. 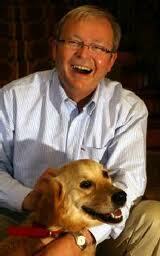 Coincidentally, Ms Gillard's new dog is the second canine Reuben to live at The Lodge. 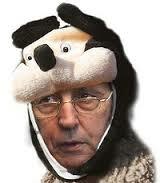 Former Prime Minister Paul Keating's German short-haired pointer bore the same name! And finally here is a picture of the other Reuben; or should I say Australia’s first Reuben. So, what do you think? Who is the cutest pet to have resided at The Lodge?